Join The Explorers on a courageous expedition through the Jurassic period. 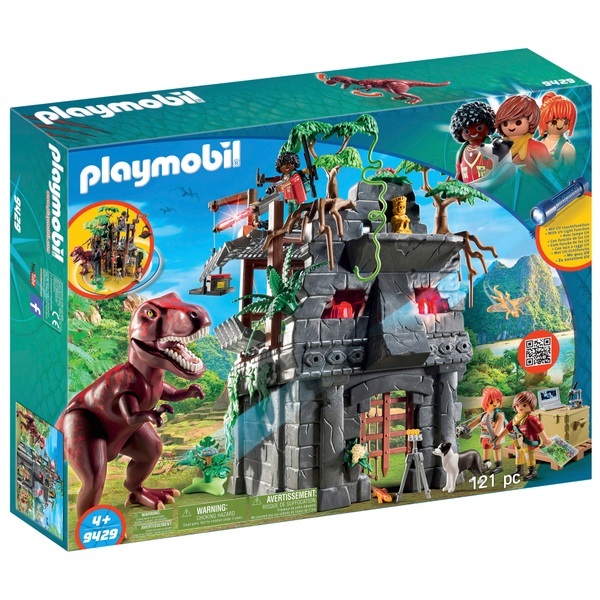 The set is action-packed with a T-Rex which can be defeated with lasers. The team have lots of accessories to help them on their journey such as a goods lift, a functioning torch, a ladder to reach the lookout tower and a winch. Make sure to keep a close eye out as there are lots of things hidden in the ruins!